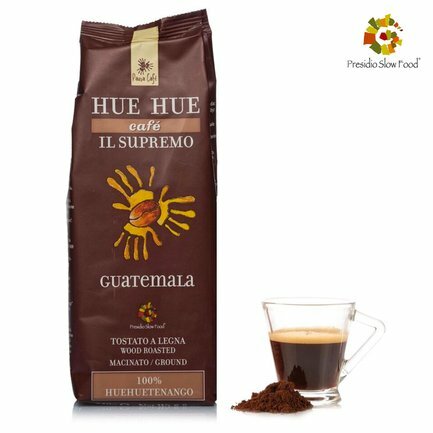 Here is a coffee for true connoisseurs: it is the cru Il Supremo by Huehuetenango, composed of 100% of the fine coffee variety grown at San Pedro Necta, one of the best in the world. Here, following criteria of sustainable agriculture, plantations are cultivated that give a sweet and intense coffee, with a floral aroma and hints of spice, with a sweet, aromatic and pleasantly lasting after-taste. Eataly imports the beans from the campesinos cooperatives and entrusts them to the 'Pausa Cafè' cooperative in Turin, which roasts them over a wood fire according to the original method. 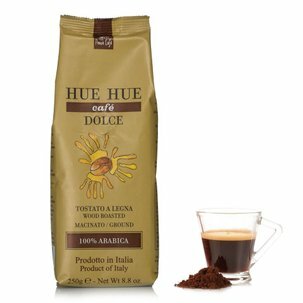 Perfect if you want a coffee that can accompany you at any time of the day with an intense, but not too bitter flavour. Ingredients Caffè Arabica Guatemala (Slow Food Presidium) For more information on product labels, please contact our Customer Service department. The information on the labels of the products may vary for reasons beyond our control, therefore, there may be discrepancies between the information on the site and that on the products delivered. Please always check the information on the product before consumption or use. Coffee from Huehuetenango, Guatemala is a precious selection grown in San Pedro Necta: it is a blend of three different sweet and aromatic varieties of arabica. Eataly imports the raw beans directly from the campesinos cooperatives and roasts them over a wood fire, in partnership with the 'Pausa Cafè' cooperative which runs prisoner re-entry programmes in the Turin prisons, overseen by Master Roaster Andrea Trinci.